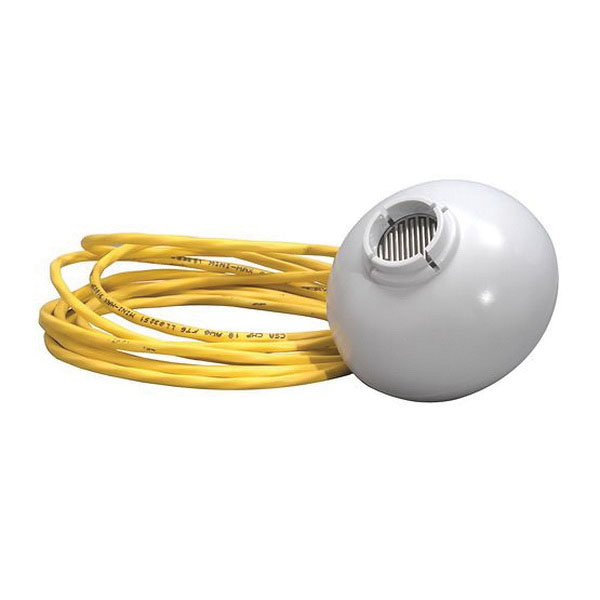 Emerson EasyHeat® Aerial sensor is suitable for mast mounting and custom positioning. The rounded features and neutral color permits the sensor to discreetly blend into almost any environment. It has a voltage rating of 24-Volts AC and current rating of 500-Milli-Amps. The aerial sensor with 1/2-Inch NPT conduit connection, is suitable for use in conjunction with the MSC1 controller. The connection wire can be extended up to 500-ft with an appropriately rated 18 to 20-AWG 3-Wire unshielded cable.